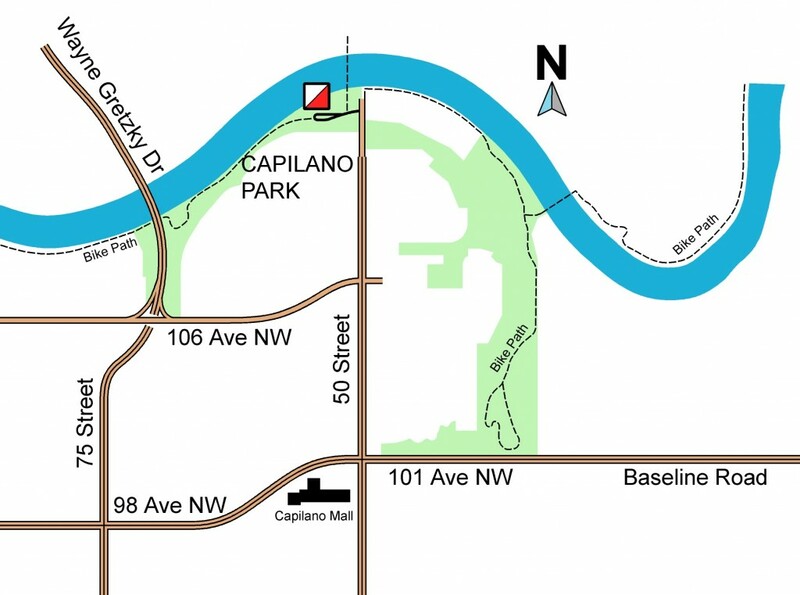 Capilano Park Shelter is on the south side of the river, at the end of 50th Street. Turn left off 50th Street into the park. The shelter has a roof and washrooms. May 9, 2018 – shelter temporarily closed for floor replacement. Two Porta-Potties available, and registration can still be under the big over-hanging roof. ETS route #1 to 106 Ave/ 50 Street, then quite a walk. Or #2 to 114 Avenue / 50 Street, then a walk across the pedestrian bridge over the river.